Digital Signage Protection: Why Pay More For Quality? Last updated on May 6, 2014 May 14, 2018 by Daniel Waldron for Armagard Ltd.
How much did your digital signage or IT equipment cost? What would it cost to repair or replace? When protecting your expensive digital signage display or IT equipment the key is to think long-term. 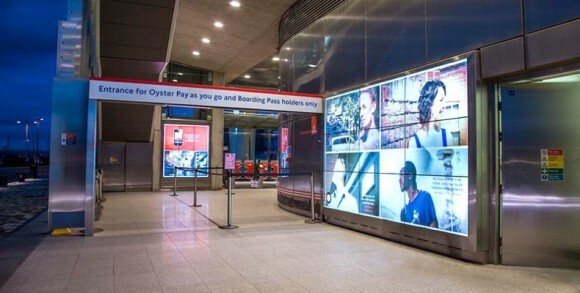 According to the most recent research (2010) published by www.wirespring.com, the average cost of installing 100 digital signage displays and operating them for three years (excluding content and personnel costs) is approximately £223,447.14 ($372,000). 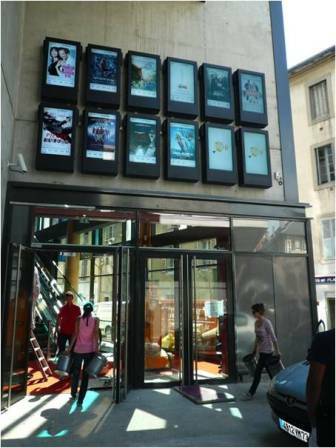 Twelve Networked Signage Displays for a French Cinema. That figure equates to £2,230 ($3,720) per single unit. Whilst costs are dropping year-after-year, this approximate figure still represents a lot of money to a business. Therefore, digital signage protection, for expensive displays, and safeguarding for IT equipment requires a quality product. Companies, like yours, are all about saving money. Whilst buying a cheap enclosure solution may seem appealing in the short-term, the long-term consequences will cost you more. Why pay more? Quality equals longevity, resulting in keeping costs down in the future. A common quote we hear at Armagard is – ‘well it’s just a tin box isn’t it? We can get somebody else to build it at half the cost or design and build one ourselves.’ Both of these statements are true, however, these alternative cheaper options often result in costing more money long-term. Cheap, ‘tin box’ enclosures will fail because they’re not sealed correctly, allowing water to leak in and damage the very equipment you’re trying to protect. The low-cost materials used are also likely to rust meaning you could contaminate your working environment, this is particularly hazardous in food manufacturing facilities. Even if you paint 304 grade steel with a powder coat covering, eventually the paint will flake, especially when used in environments where water, steam and changes in humidity are present. 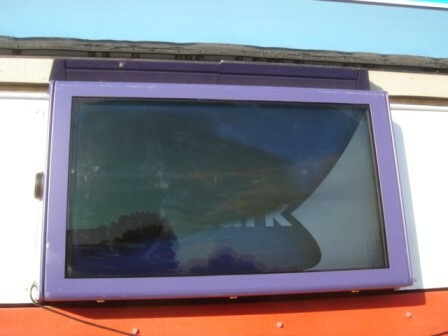 Inadequate ventilation in this enclosure caused the screen to ‘burn’. The reality is that investment in an inferior ‘tin box’ enclosure will create more problems than it will solve. In the end, you will end up paying out more than if you had invested in a reliable solution, built for the job you need it to do. It is often the case that customers who have invested in a cheaper ‘tin box’ alternative will return to Armagard because the inferior product has failed. Cheap enclosure units are not designed to last! They offer minimal protection, on a short-term basis and they are produced for the mass market, meaning very little time is spent on manufacturing them. 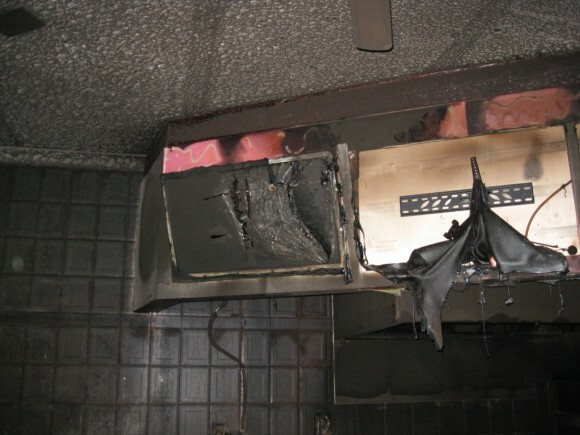 Taking the costs quoted earlier in the article, if you were to attempt digital signage protection with a low-cost, standard ‘tin box’ enclosure, and that enclosure failed, could you imagine the cost of repairing or replacing your equipment every time a cheap enclosure failed? Your costs would be extortionate. You have been entrusted with the task of identifying premium digital signage protection or suitable protection for IT equipment in an industrial environment. Get it wrong and it’s you that has to explain to your superiors why thousands, or millions, of pounds worth of equipment has ended up damaged. 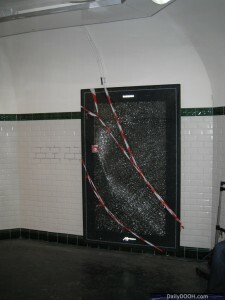 Inadequate Digital Signage Protection Results In Damage. While you may think you’re saving money by purchasing a cheap alternative the fact is you’ll be spending more in the long-term to cover your losses. Put your business head on and remember, you’re purchasing an enclosure to safeguard your equipment long-term, criteria that a cheap, ‘tin box’ cannot and will never meet. A lot of cheaper enclosures are sold. Why? Consumers are lured by the price, this is what immediately appeals, and the impulse is to buy it because it’s cheap and that’s what sellers rely on. But, look at it from a different perspective. Price for a quality product can be negotiated the quality itself cannot. When buying cheap, inferior digital signage protection or an IT equipment safeguard it emphasises the value that you place on protecting that equipment. The results may astound you. In comparison, investment in a quality Armagard digital signage protection solution, or IT equipment safeguard, eliminates such costs. You may pay more initially, but you will save more over time. The question is therefore not, what’s the cheapest enclosure available? But, how much do you value the equipment you’re trying to protect? Armagard designs and builds digital signage enclosures and IT equipment protection with longevity in mind. Armagard’s digital signage protection solutions are made using powder coated mild steel or stainless steel, which are purpose-built to safeguard PCs, screens, printers and digital signage displays used in the toughest environments. Armagard supplied enclosures for the London’s first cable car station. Our digital signage protection & IT equipment enclosures protect against dust, dirt, liquid ingress and physical impact, to industry standards, and all units undergo extensive testing to ensure that quality is not compromised. They can be fitted with air-conditioning and/or heating systems to regulate internal temperatures, helping to avoid overheating and/or freezing. A great deal of time and skill goes into manufacturing our enclosures and the majority of them are custom-made to suit the requirements of our customers. Adjust your mindset from thinking ‘tin-box’, Armagard enclosures provide harmonious environments that improve performance, enhance reliability and increase longevity of essential equipment. We produce aesthetically designed enclosures in a range of styles some of which can incorporate touch screens, keyboards and anti-reflective or anti-glare technology, features which cannot be found on cheaper alternative enclosure solutions. Armagard is trusted with the provision of protective enclosures for PCs, printers, screens and digital signage displays. When you consider the potential cost of repairing or replacing equipment frequently damaged as a result of buying cheap, paying more for a protective enclosure that can safeguard your equipment for 10 years or more, with minimal maintenance, quality speaks for itself. So in reality, are you really paying more? Maybe the initial outlay seems unjustified, but reassess in 10 years and admire the savings you’ve made not only cash wise, but time wise also. Remember, you’re not just protecting equipment, you’re safeguarding your business which suffers when essential equipment can’t be used. Sunlight Readable Digital Signage – Anti-Glare & Anti-Reflective, What’s The Difference? A dedicated writer for 10 years, Daniel joined Armagard in 2013. Daniel assists in the production of web copy, articles, blogs, press releases and white papers, for use by Armagard's marketing team. This entry is filed under computer cabinet, Computer protection, digital advertising, digital signage, digital signage enclosure, digital signage networks, Enclosures. You can follow any responses to this entry through the RSS 2.0 feed. Both comments and pings are currently closed. Computer enclosures make a standard PC as rugged as an industrial PC. PC enclosure protecting screen and computer in hostile environments. Printer enclosure to protect in Harsh environments, Can be Jet-Washed. Waterproof and washable touch screen. 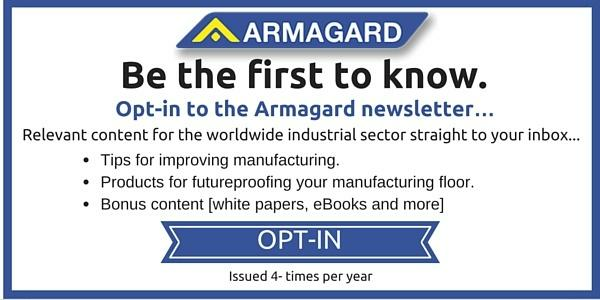 Fill in the form or call 0121 608 7226 for more information on how an Armagard enclosure can work for your business. Please call me to discuss the Armagard product range. We respect your privacy - read our policy. ©Armagard UK Blog. 2019 All rights reserved.